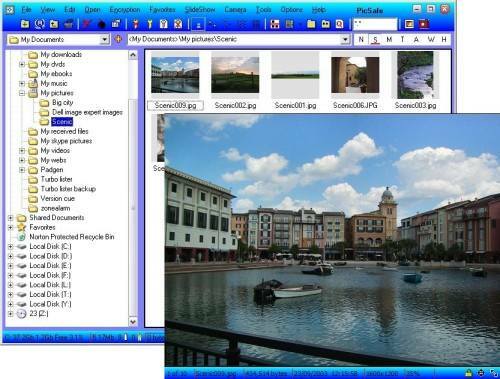 PicSafe Picture Viewer and Media Player with Encryption is a fully featured, user friendly Picture Viewer with a difference. Your Pictures can be encrypted to prevent anyone else from viewing them. Select your pictures, enter a key and PicSafe will encrypt them, wiping all traces of the original image from your hard disk. 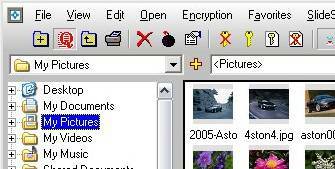 Simply by entering the same key later you can view your pictures just like regular pictures. Without the key all anyone else will see is a message of your choosing. PicSafe is not limited to protecting picture files, any file can be protected and decrypted whenever you wish to access the file. Media Player - PicSafe is also a powerful Media Player, utilising the Windows Media Player engine but providing quicker access and a cleaner control interface. Full Screen or stretch to any size. Full, Partial or Popup Controls. Picture Viewer - Double click on a picture file to open the main Picture Viewer. Quick Locator bar with thumbnail Preview. Absolute control over size and position. Up to 12 open viewer windows. Image Editing with Flip, Mirror, Rotate, Clip. Definable Picture Framing including 'Arty' picture in picture. Keep your files Private with ultra secure custom file encryption, whilst allowing quick, easy access for the key holder. Dont let your family snapshots end up on the internet if you should be unfortunate enough to lose or have your PC stolen. Hide your private files from PC repairers, thieves or anyone else who may gain access to your PC. PicSafe will encrypt your Pictures and other files to protect and hide them from anyone else, enter your key and View Encrypted Pictures and Play Media Files just like normal files. Copy Encrypted files to other PC's, CD or DVD without compromising the level of protection. User configurable Frames allow a very individual look to your pictures or movies, or try the built-in 'Arty' Frame style for a very professional photographic look to your pictures. Complete control of speed and viewer appearance give the PicSafe Slide show a unique feel. Two clicks of the mouse is all it takes to move your Camera or Phone pictures to your PC and protect them. The built in Media Player makes browsing though media files in a folder as simple as browsing pictures. 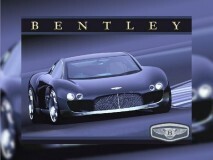 Great for scanning through a folder full of MPG or MP3 files. The viewer is simple to control with permanent, partial or popup controls.